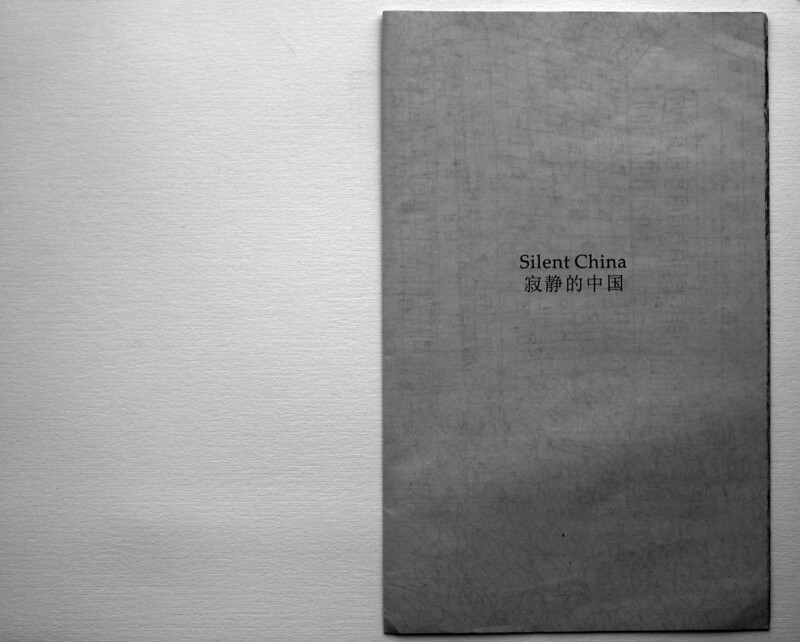 For ’Silent China’, Mira Sanders did not want to capture images, but sound. 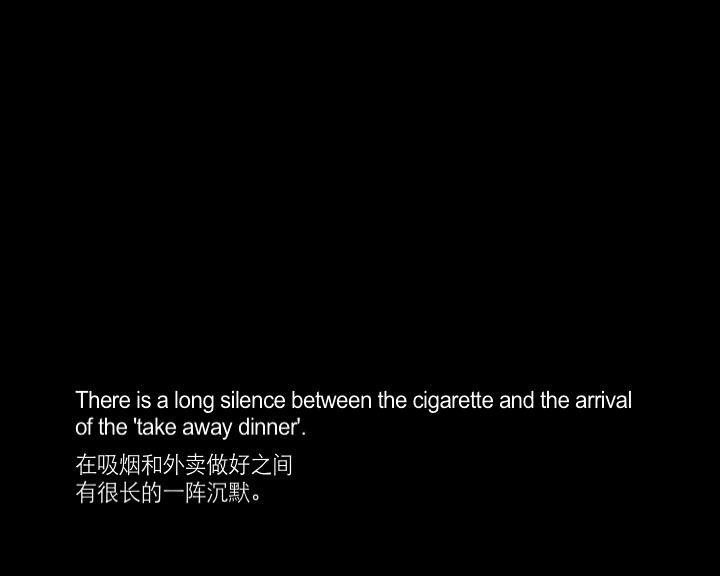 While the image remains black, subtitles give us a fragmented impression of a journey through China, including the exact place and date of the recordings. 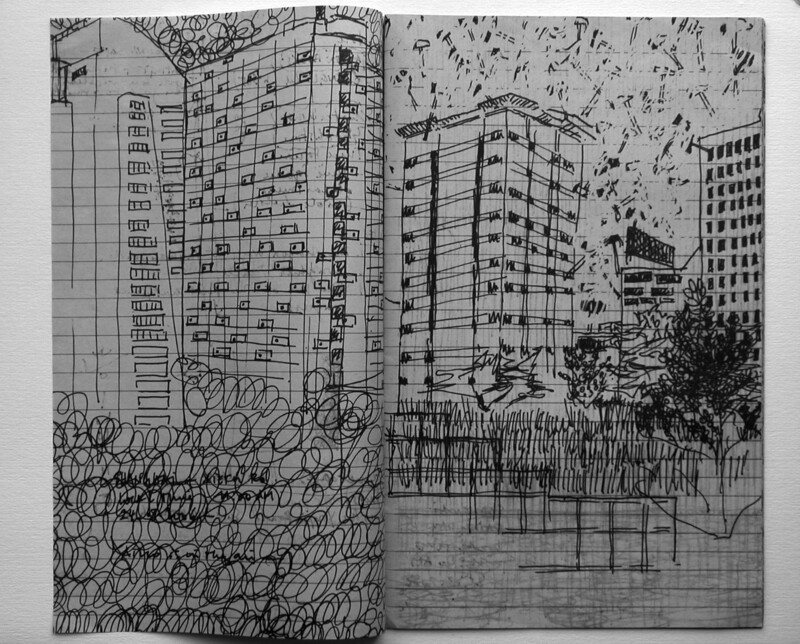 The video was presented together with a folder on which several drawings, conceived as a description of noise, had been printed. The format of the folder referred to that of the Chinese public newspapers which are hung up in the streets, in order to be taken and read. 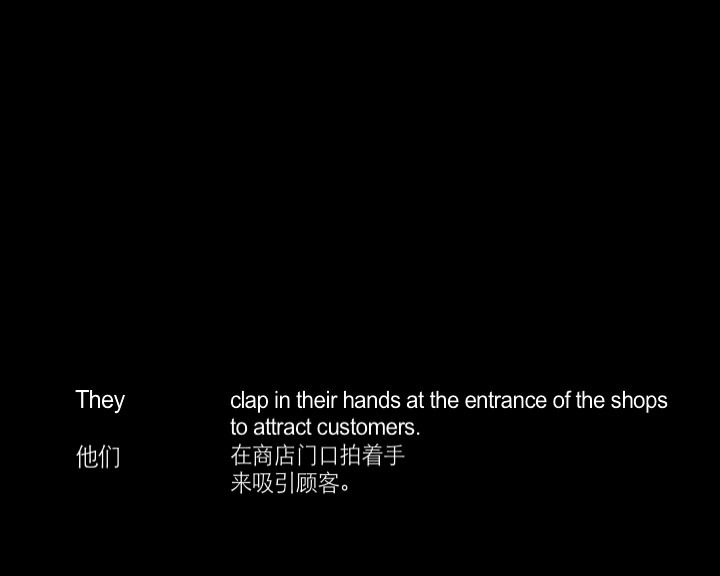 In the subtitles the word ’they’ is followed by a long space. 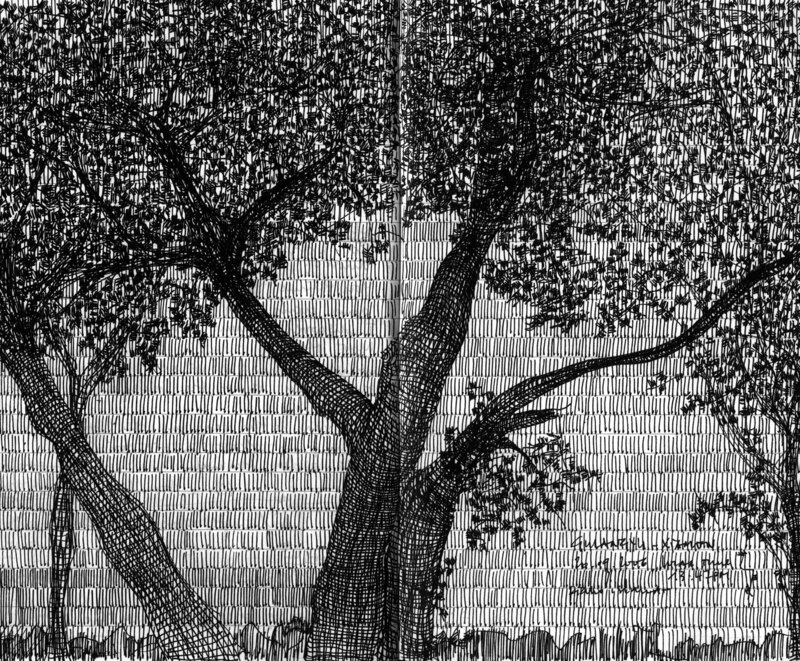 The recurring space reminds the viewer of the difference between the storyteller and the people we are hearing. Being unable to understand the language they are speaking, the storyteller perceives their reality differently. Although the video suggests a noisy journey, in this sense the exact content of it remains unheard. 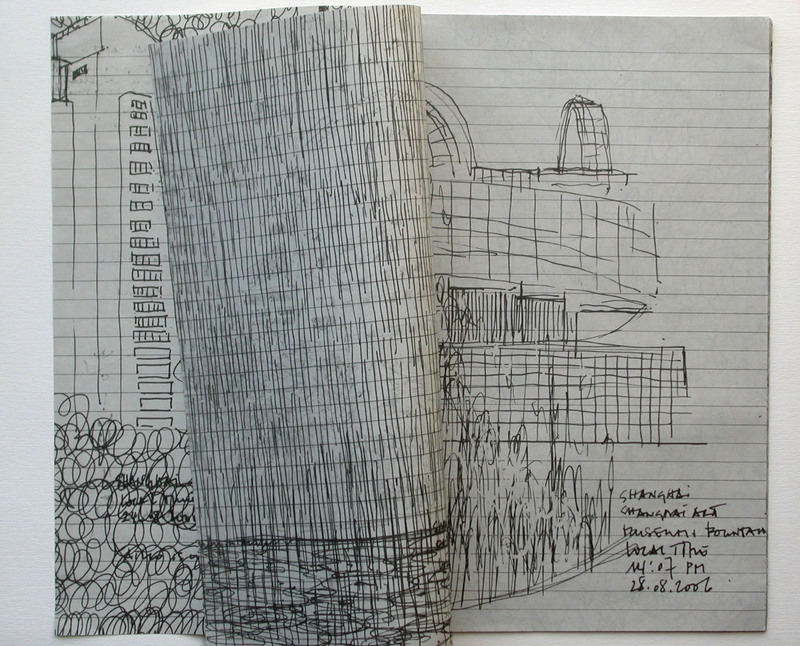 First shown and realised at the Chinese European Art Centre (CEAC), Xiamen, People's Republic of China, 2007.